What do Great Skellig in Ireland, the old town centre of Krakow and the Dolomites have in common? Nothing, apparently, except they all have UNESCO recognition, together with hundreds of other cultural and natural sites throughout Europe. Yet their unique status, acknowledged by inscription on the World Heritage List, infers a kind of shared destiny: that of walking (and working) along a fine line that separates and unites the enhancement of tourism and protection of the sites. That is why finding the right way to convey their value has become a problem shared by all. This is just one of the reasons why it is useful, if not necessary, for the UNESCO European World Heritage Associations to meet up every year. This time the Meeting was held on 18 and 19 October in the town of Noto which, thanks to its outstanding examples of late Baroque art and architecture, was inscribed on the UNESCO World Heritage List in 2002 together with the other towns in the Val di Noto. The meeting was organised by the Association of Italian UNESCO World Heritage Sites in conjunction with its network of European counterparts and the Municipality of Noto. This network has been working for some years now to find common ground and mutual understanding of the policies which many of the organisations that manage World Heritage properties throughout Europe have to deal with. 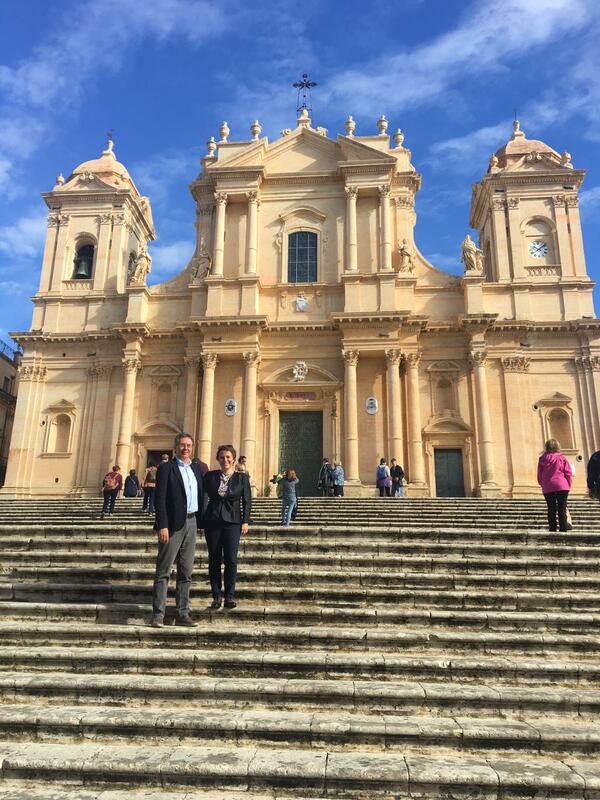 The issue of communication was the main focus of the debate in Noto: not just communication to promote the value of World Heritage Sites, but to foster good practices as well. Both the president of the UNESCO Dolomites Foundation Graziano Pizzimenti and the director Marcella Morandini attended the Meeting, which provided an invaluable platform for learning more about good management practices throughout Europe. The Dolomites also made an important contribution: its Overall Management Strategy and the participatory process which led to its drafting, have been cited far and wide as an example of good practice in Europe.